Flat feet are a hereditary problem that are usually first visible during childhood. Without treatment, flat feet can lead to a lifetime of foot pain and conditions like hammertoes and bunions. Fortunately, there are options that can help children with flat feet develop an arch and avoid these kinds of complications. One such strategy your child’s foot specialist in Sugar Land may recommend is the subtalar MBA implant . The subtalar MBA implant is designed to support the arch of the foot and prevent excessive pronation of the subtalar joint, which causes flat feet. The implant, which is made of titanium, is inserted into the subtalar joint, to realign the foot and promote the arching of the foot. Because bones in children are still flexible, the foot tends to respond well to this kind of treatment. Following surgery, kids usually need a camwalker boot and crutches for about four weeks after the procedure. Following this recovery period, kids can usually return to their normal activities while wearing sneakers and orthotics. The Achilles tendon, which is the longest tendon in the body, extends down the lower leg to the heel. Strong Achilles tendons are essential for basic movements, including walking. If you are recovering from an Achilles tendon injury , talk to your foot specialist. Before you begin rehabbing the tendon, your foot doctor in Sugar Land will need to make sure it’s safe for you to do so. When your foot doctor does clear you to begin strengthening the Achilles tendons, you can watch this featured video, which introduces the topic. It features a fitness expert who discusses the types of exercises you can do and how many reps you should aim for. For instance, your foot doctor may recommend calf raises and presses, and heel raises and presses. You can complete these exercises with the aid of resistance bands, weight machines, or your body weight. If you undergo foot surgery, you will receive anesthesia for your comfort and to manage your pain. The type of anesthesia you receive depends on the type of surgery you are having, your health, and your preferences. 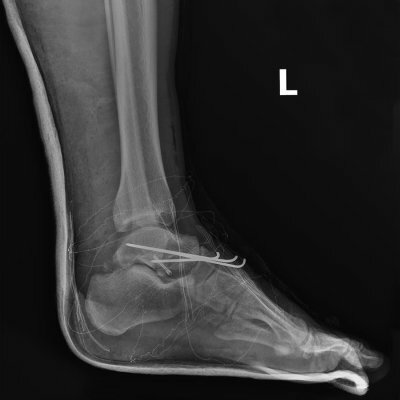 Your foot surgeon in Sugar Land will explain your options to you so you know what to expect. Here is a look at some of the different types of anesthesia used during foot and ankle surgery. Local and regional anesthesia are similar to what you receive at the dentist. You receive a series of injections that prevent nerve impulses from being conducted, thus blocking any pain you may feel. A local anesthetic is used to numb a small area, like a toe, while a regional blocks pain in a large area, such as your leg. With both these forms of anesthesia, you remain completely awake, so you can respond to questions and instructions from your foot doctor. 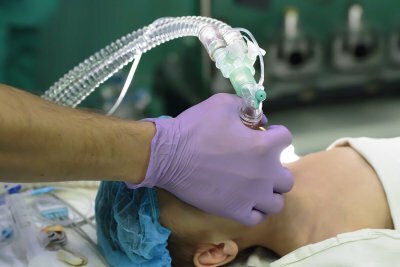 Some of the benefits of these types of anesthesia is that there is no increased risk of heart attack or stroke as there is with general anesthesia. They are also the most affordable forms of anesthesia. Conscious sedation involves the use of a mild sedative, delivered via an IV by your foot surgeon. You will not fall asleep with this kind of sedation, but you will feel extremely relaxed. Because this kind of anesthesia does not block pain, it is often combined with a local or regional option. Conscious sedation is not ideal for long procedures and can cause nausea and headaches in some patients. If you are nervous about your procedure, your podiatrist may recommend conscious sedation. When you have general anesthesia, you will be put in a deep state of sleep throughout your operation, so you don’t experience any kind of pain. You also will not have knowledge of the surgery. General anesthesia comes with a risk of heart attack, stroke, and lung infection, which is greater in smokers and people who are overweight. Your surgeon will help you determine if this is the best fit for your operation. More than 100 types of arthritis affect millions of Americans. The feet and ankles are particularly susceptible to developing arthritis because of the sheer weight and force they are subjected to throughout each day. Arthritis may not be curable, but it is treatable. If you suspect you might be developing arthritis in your feet and ankles, it’s important to see a podiatrist in the Sugar Land area as soon as possible. For some types of arthritis , early treatment can help delay the progression and prevent further damage. Osteoarthritis is a common type of arthritis that develops because of the wear and tear damage inflicted on the joints . Wear and tear damage has a cumulative effect, which is why osteoarthritis is more common among older adults. Each foot has more than 30 joints, but osteoarthritis is most likely to affect the joint that connects the ankle and shinbone, the joint that connects the foot bone and big toe, and the three joints that involve the outer and inner mid-foot bones, and heel bone. The symptoms of osteoarthritis develop gradually and generally include tenderness, pain, stiffness, and swelling in the affected joint. Patients may experience reduced mobility because of the difficulty in placing weight on the affected foot. If you have previously sustained an injury to a foot or ankle, you may be at risk of developing post-traumatic arthritis. If so, you’ll likely notice that you’ve begun to suffer from a decreased tolerance of daily activities that require placing weight on the foot. These include climbing stairs and playing sports. The affected joint can become painful and swollen, and it may have fluid accumulation. Unlike osteoarthritis, rheumatoid arthritis is an autoimmune disease. It triggers the immune system to overreact and attack the protective synovium of the foot and ankle joints. Eventually, the bone, cartilage, ligaments, and tendons can sustain damage. Rheumatoid arthritis of the feet and ankles is best recognized by the pain, stiffness, and swelling it causes. The affected joint may feel warm to the touch and you may experience difficulty walking. Eventually, you may develop corns, bunions, hammertoe, or flat foot, and you may experience systemic health problems like fever, fatigue, and loss of appetite. If you’re anticipating an upcoming visit to a podiatrist in Sugar Land , you may be concerned about the potential for smelly feet when you remove your shoes and socks. But there’s no need to feel awkward; podiatrists understand that all feet tend to emit unpleasant odors. You’ll learn the reason for that when you watch this featured video. It explains that each human foot has over 250,000 sweat glands. As the foot sweats, the bacteria on the skin eat the sweat and produce waste as a byproduct. The foot odor is caused by bacterial byproducts. Feet tend to stink worse than other sweaty areas of the body because they are usually encased by socks and shoes, which allow the odoriferous byproducts to become highly concentrated. If you think you’ve sprained your ankle, you should visit a podiatrist or foot and ankle specialist near you for a diagnosis. The symptoms for of a severe ankle sprain and a fractured ankle are often very similar, and a foot doctor in Sugarland can determine whether your ankle is broken, or just badly sprained. Here are some helpful tips on how to deal with an ankle sprain before you visit your podiatrist. Even if you’ve made an appointment to see a foot specialist about your sprained ankle, you’ll still be waiting at home in discomfort until your appointment time. There are a few things that you can do at home to ease your pain and promote healing. Avoid walking or standing to allow your ankle time to rest. Lie down and elevate your leg so that your ankle is above the level of your heart to minimize swelling. You should apply ice to your ankle regularly, and take ibuprofen, to reduce pain and inflammation. You should also apply a compression wrap or elastic bandage to your ankle to reduce swelling. 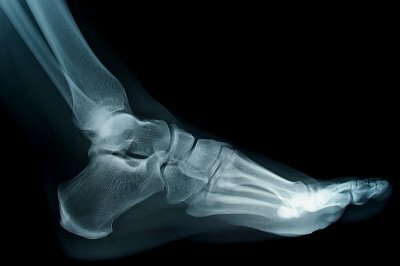 Your podiatrist or foot doctor will X-ray your ankle to ensure you haven’t broken or fractured any bones. He will prescribe you painkillers if the ibuprofen you’re taking isn’t effectively treating your pain. He may also suggest that you use crutches so that you avoid putting pressure on your ankle. If you do not follow your podiatrist’s treatment plan, you may develop ankle instability, which happens when your ankle ligaments do not heal correctly. 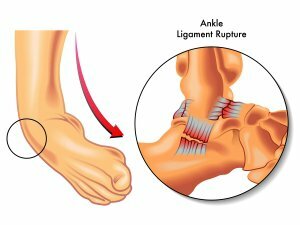 If your ankle sprain is severe, you may have also torn ligaments or tendons in your ankle. Your podiatrist will examine you carefully to diagnose any serious problems that may require reconstructive ankle surgery. If you are an athlete who has a torn lateral ankle ligament, your podiatrist may recommend immediate surgery. In other instances of torn ligaments or tendons, a foot and ankle specialist will try non-surgical methods first.